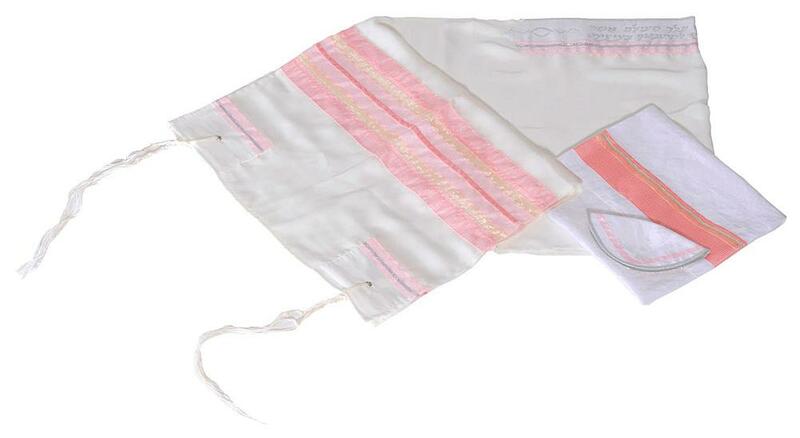 This pink tallit set made of high quality silk weave has been hand made inIsrael. 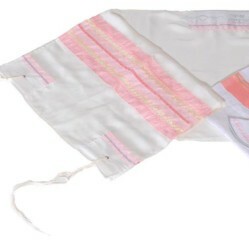 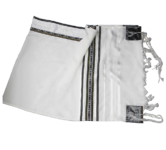 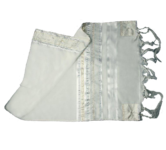 The full blessing is embroidered using original Hebrew letters on the white Attarah adorned with a pink accented ribbon. 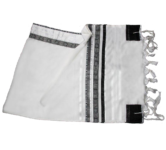 Double knotted white macrame fringes coming out of the nicely designed square corners provide a touch of beauty to this exquisite shawl. 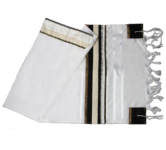 The bag’s decoration is made up of a solid pink stripe edged by silver laces and the white kippa bears the same style of design.